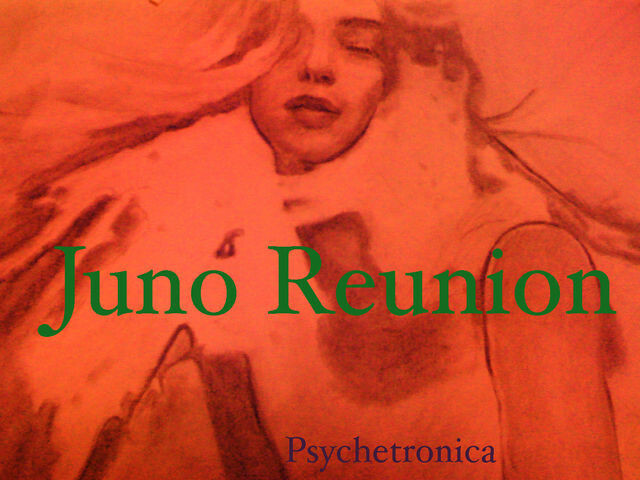 This is a second party on the new phase of Psychetronica. 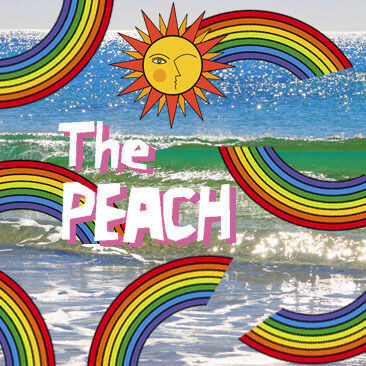 At this time, Theme of the party is "Juno Reunion" which is wishing for all the lovers be happy also gathering for all the Techno freaks who loves Roland sounds. But any single parson and Moog lovers could come too. Please join us! 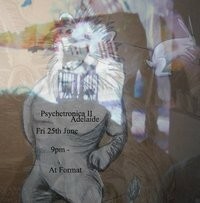 The second Psychetronica Adelaide. Cheers. After the wave of support for the launch event we have secured a spot for Friday night this time, and so we are striving to make it even more amazing! A continuation of the elements that made the first event great with some changes thrown in! This second event is to keep the great atmosphere going and taking deeper roots as a community of great electronic music lovers. Of course while adding more wonderful people to our group! The line up this time is a different mix, but I am looking quite forward to this palette of sound and visual to say at the least. We have original music from some pioneering Adelaide soundscapers as well as the opportunity to finish that mural! Steve O'Connor will be back to bring it further to life, possibly with talks of colour this time? Our VJ Luke Toop is going to be playing at our sister event in Tokyo this month, so unfortunately we won't have his visual bliss this time. However, visuals will go a different way this time, but nevertheless an interesting one. That is a surprise though! Either way, wish him luck and we will hopefully see him back for Psychetronica 3! 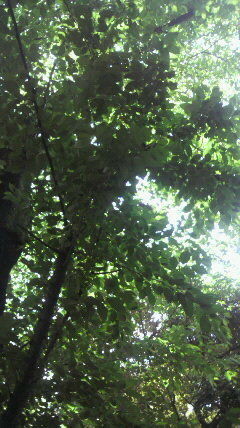 With film elements from local directors and Tokyo artist Taiyou Kagero. And some more hidden visual material! Steve will be back to finish the wallspanning mural and some other artistic goodness will come along in its wake. Even if you weren't there for the first one, the completion of the mural is still a great sight and you can get involved! This time we will actually be doing BACK 2 BACK as well. Bring a CD with a loved track or even a music piece that you have been working on and want to unleash to the world. Local and loved music embrace to become a collaborative musical jungle! The event will be Ustreamed to the world and everyone watching. We had a pretty nice turnout and good reactions from our international and local internet comrades last time, so if you can't make it you can still indulge in the blisses of all kinds that come from the event. If this will be your first time coming you have definitely chosen a good time to do so. Looking forward to meeting you there! For everyone else you owe it to yourself to see how it all pans out. All the best bits of info will be coming through that hole/group.